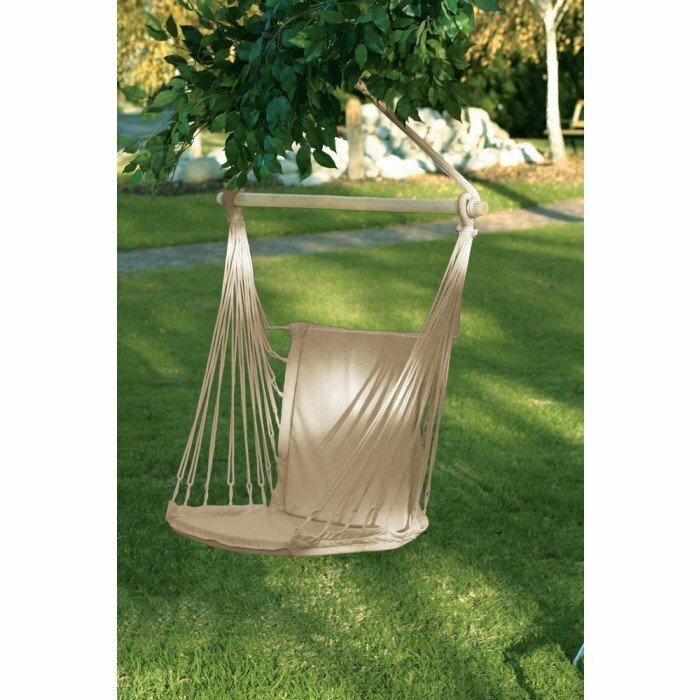 COTTON PADDED SWING CHAIR home decor, jewelry, decor, decorations, electronics, fountains, floor mats, art glass, vases, garden essentials, fireplace screens. A relaxing way to retreat from the day! Soft cotton padding and gentle rocking motion cradle you in exceptional comfort. Great for use indoors or out. Maximum weight limit: 200 lbs. Seat: 10 1/2" wide. Material(s): WOOD COTTON RECYCLED COTTON. Weight:3 pounds. Dimensions: 38" x 17.8" x 52".